Lentil can't sing. He can't even pucker his lips, but he wants to make music. Lentil is the story of what happens when a young boy learns to play the harmonica. Both his inability to sing and pucker up and his ability to 'become an expert' harmonica player save the day in this patriotic, small town story of honor and humility. The setting is the fictional town, Alto, in Ohio. Malachi learned where Ohio is located and a fun way to spell it, thanks to the manual. We also found Ohio in relation to where we live ~ we go directly East to get to Ohio. 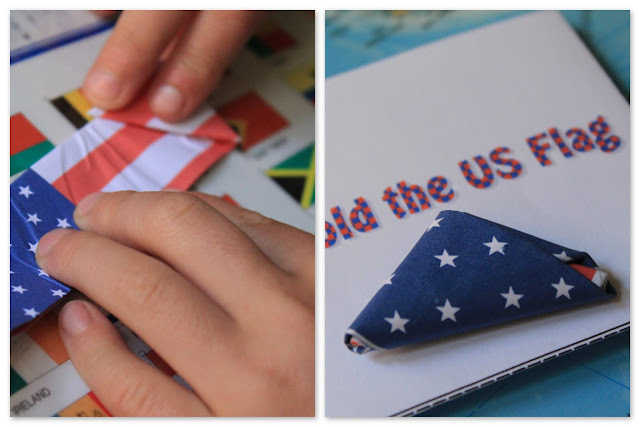 There is a patriotic theme to the story, so this was our theme for our "Lentil party." We listened to patriotic songs from Wee Sing America. We made an American flag cake. And we did some patriotic themed lapbook activities. 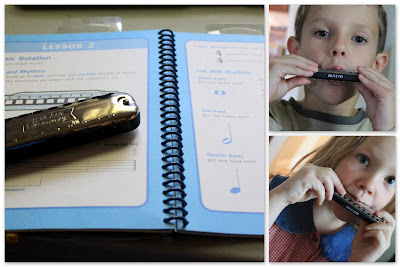 I gave Mali and Elli a harmonica and lesson book, in hopes that one of them would desire to 'become an expert.' First lesson was learning to blow in and out. Then we learned about notes and rhythm. 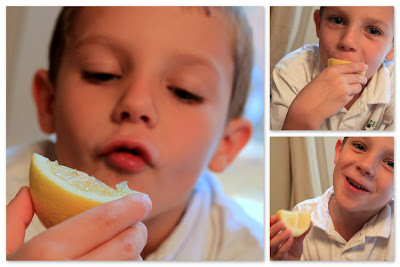 My kids LIKE the taste of sour things ~ no puckering up here! I love lemons with salt and tried to get them to like it too, but they liked it without the salt! I told them they were just like Lentil because he didn't pucker up when Old Sneep tried to ruin the day with his lemon sucking plan. We tested water, lemon juice, apple juice, pickle juice and milk (then Malachi wanted to taste them). 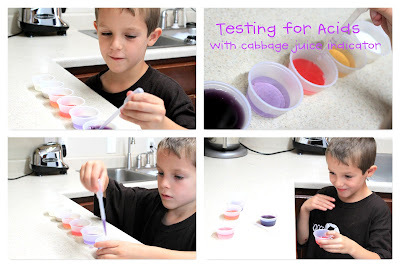 Do things taste the same without smell? 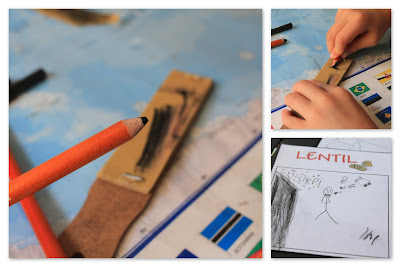 After Malachi drew his illustration for Lentil, I had him practice sharpening the charcoal pencil with the sandpaper and then use the charcoal pencil to shade the building. He said he might like to start using charcoal to draw with. We used Musical Nomenclature cards and sorted them into: Wind(Woodwind), Brass, Percussion, and String instruments. The harmonica is a wood wind. Here is another wonderful set of nomenclature cards if you do not have access to the above link. We also happened to remember a Biblical Holiday this week ~ the Feast of Trumpets. So, we tied in the trumpet with our musical lesson. We colored a coloring page of two silver trumpets. You can read more of how we remember the Feast of Trumpets here. I had planned to make a silver trumpet craft, but didn't get to it (I forgot that Trumpets was this week when I planned this row! But, it worked out nicely to be able to tie in Trumpets with our lesson on musical instruments!). We make the Lentil Tacos once a week, at least, using red lentils instead of ground beef, with our regular taco trimmings. We had the tacos for lunch one day and the Lemon Chicken for dinner on the Feast of Trumpets. 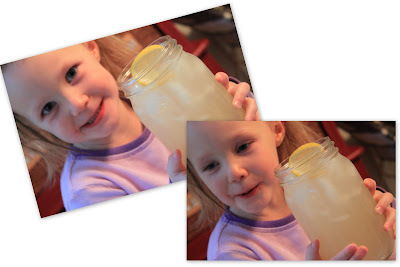 We made a gallon of lemonade from fresh lemons to go along with our dinner. 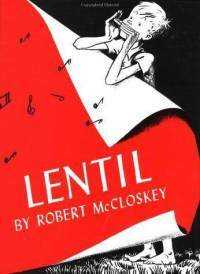 Lentil is a Five in a Row selection from Volume 1. 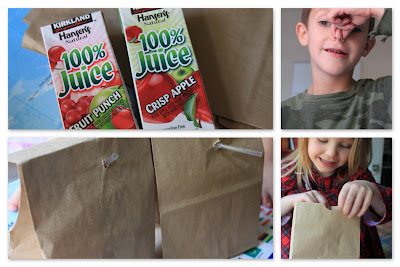 Malachi: We didn't do the Language Arts lesson from the manual ~ instead, we pulled Explode the Code back out and did one lesson. We also continued on with AAS (Lesson 13) and Malachi read "At the Pond" in The Beehive Reader. 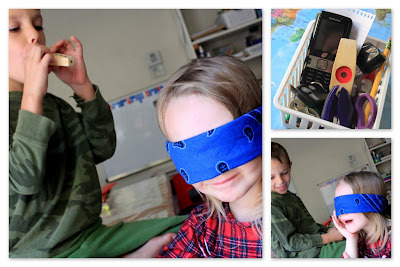 I've been stalling our lessons because I am waiting for All About Reading Level 1 to come out! 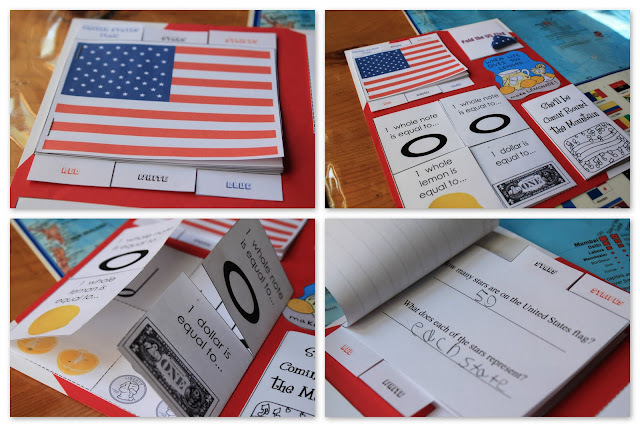 But, I decided that he needs more formal phonics instructions, so we will continue with All About Spelling and then fly through AAR when it comes out. Eliana: We finished the upper case letters from All About Reading Level Pre-1. She is ready for the sounds (and knows most of them already) so I am thinking of doubling up our lessons to cover the lower case letters AND the sounds at the same time. (There is much more to AAR than just phonics and I don't want her to miss the important pre-reading skills!). But, she is ready to move at a much quicker pace and rather than speed through the lower case to get to the sounds, I think I will combine them and try to include a lower case craft (in a addition to the letter craft sheet in the program). I think I'll give it a try to see how it works. Day in the Life: Thursday - No School! Hi there. . . I need your help!